* Excluded from product discounts. You can earn 22 yards with this purchase! 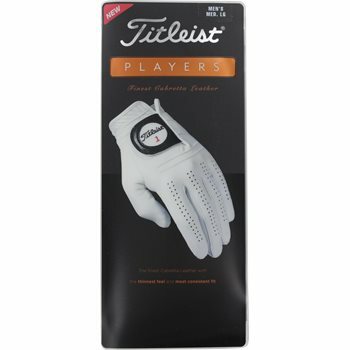 The Titleist Players 2015 glove offers serious golfers the finest Cabretta Leather with the thinnest feel and most consistent fit. This glove is the choice of leading tour professionals around the globe and ensures premium quality, fit and consistency. This is also a glove that features precisely placed seams that will not interfere with one’s grip and satin reinforcement at cuff and thumbs to improve tear strength. Review by Dan, 2 years ago.